The book is about my journey towards finding fulfillment, particularly after September 11, when everything changed around how I saw my life and role in the world. The book also includes stories of leaders that have taken risks and sought a new path toward making their mark on the world. The result is ChangeSeekers, a call to everyone who wants to make a difference and find their path to impact. The message: always question where you are headed and why. Take risks, explore creativity, find new ways of adding experience and relationships to your life. Question authority. Be curious, be brave, and find your passion. I have had so many people ask me about my journey, wondering how I ended up starting my own company, making my way from being an investment banker in London, to working in development with the most impoverished communities. When a friend of mine suggested I write down my story, and provide inspiration for others, I thought I’d give it a shot. The opportunity presented itself—the time was right. I also thought the benefit would be recording my inspiration for my kids, so when they are older they can understand my sense of priority and how important it is to make a difference in the world. Can you describe your writing process? It was relatively easy in that my editor encouraged me to spend a good chunk of time on the initial outline. That was probably the hardest part. Once I had an outline well thought out, and articulated, the writing of the actual book flowed quite well. I’ve always been intimidated by writing an outline. My editor coached me through the process, so I felt supported and well prepped. If I told you that, you wouldn’t go read my book! I am woken up by my 7-year-old around 6 or 6:30. After making my kids breakfast and getting them to school, I settle into my work day, which runs from about 8 until 3, when I have to pick up my kids. I work from my home office, but spend one or two days in meetings downtown in DC with clients and partners. After my kids get home from school, we have homework, sports, and activities, and then when my husband gets home we try and have some family time before bed. I enjoy getting back to my computer after my kids go to bed to do some focused work. I travel a lot for work, so when I’m traveling I do feel like I have a bit more time to focus on work and even a few activities to feed my soul, which I need more time to focus on, frankly! Knowing that my small contribution to our planet is adding love, positivity, and happiness, perhaps, where there is none. I’m inspired by so many writers, thinkers, and intellectuals. I speak about many of them in my book, actually. I can barely breathe around bugs. 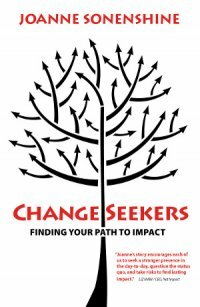 I am working on a ChangeSeekers podcast, where, together with my friend Jan, we’ll be interviewing individuals who meet the ChangeSeeker persona, and sharing their stories. We will likely create a ChangeSeekers blog as well. 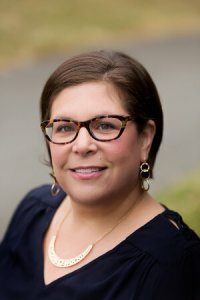 You can learn a lot more about what I do at connectiveimpact.com.